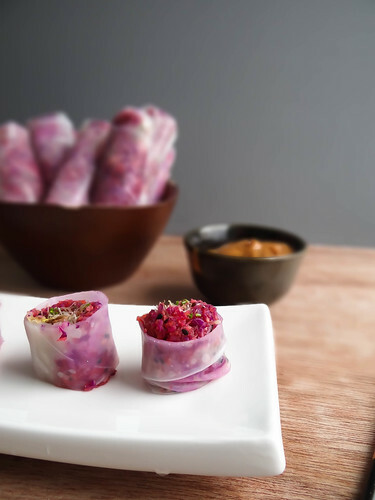 A simple filling of shredded carrots, purple cabbage, alfalfa sprouts and crispy matsutake mushrooms, seasoned with lime and black & tan sesame seed creates this beautiful spring roll. Please do not let the paper thin rice paper intimidate you- like most things they are more resilient than you think. The rolls come together in about 20 minutes - a perfect "on the fly" appetizer or quick healthy dinner. 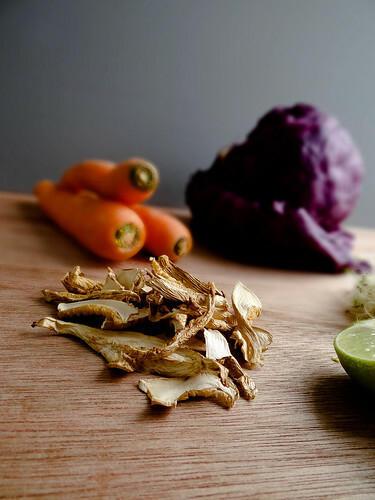 The matsutake mushrooms can easily be replaced with shitake or oyster mushrooms - really any wild mushroom will do. I made these to take along with me to my sisters house, she was having a "cookware party"- where I enjoyed entirely too much wine, ate my weight in spring rolls & sesame rice balls and ordered a "on the grill" pizza pan - when I cam home all excited about the amazing pizza pan for the Grille Justin reminded me that I had already ordered one last season and was sitting in the basement ready to go for this years BBQ season. Yikes! either I have a very bad memory or clearly too much wine and good food. My Gram announced that she loved the Spring Rolls however did not care for the peanut sauce - and this is coming from an amazing lady with very particular tastes. 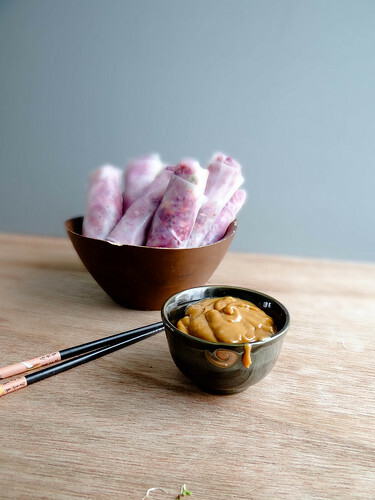 Everyone else loved the combination of the spring rolls and peanut sauce in unison- my sister and I were feeling adventurous and combined her tamari ginger dipping sauce with the peanut sauce, the combination was pretty incredible. My point being, not matter your dipping sauce of choice these are going to taste amazing. The Consultant at the show could not get over how fun and hilarious (and competitive!) our family is. Tell me, do you come from a large, very loud family that you love to pieces. I am so lucky to have most of my family so close by and see many of my aunts, uncles, cousins and grandparents on a weekly basis- I wouldn't change it for the world. Are you one of the lucky ones that genuinely gets along with your family and truly enjoys their company and laughter? 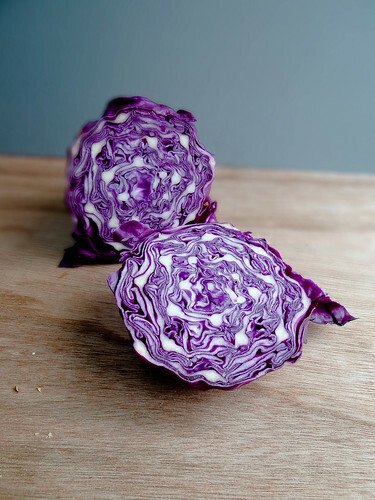 In a food processor finely shred the cabbage and then carrots - alternatively you an shred by hand. 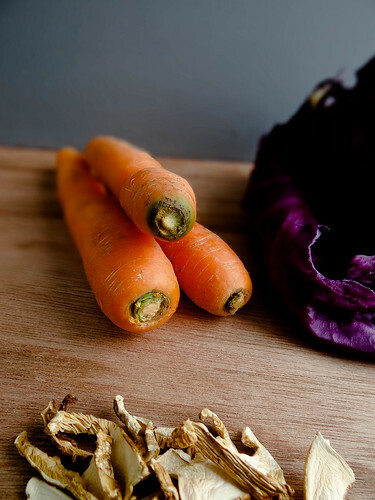 Place carrots and cabbage in a small mixing bowl. Add a tablespoon each of black & tan sesame seeds. Mix in the juice of 1 lime- set aside. In a medium frying pan melt 1 tsp of coconut oil over medium high heat - add re-hydrated mushrooms and saute until crispy and golden brown. Remove from heat and set aside. 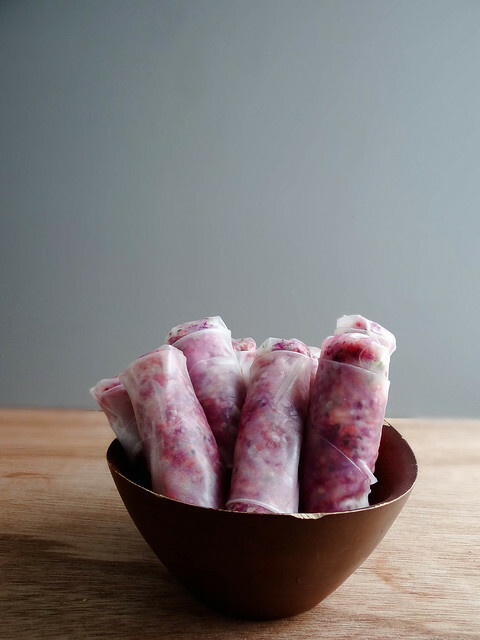 Fill a pie plate or casserole dish (large enough to completely emerge your rice paper spring roll paper) with hot water. Set up your wrapping station - I use my cutting board or a plate with another plate off to the side for setting the rolled spring rolls on. 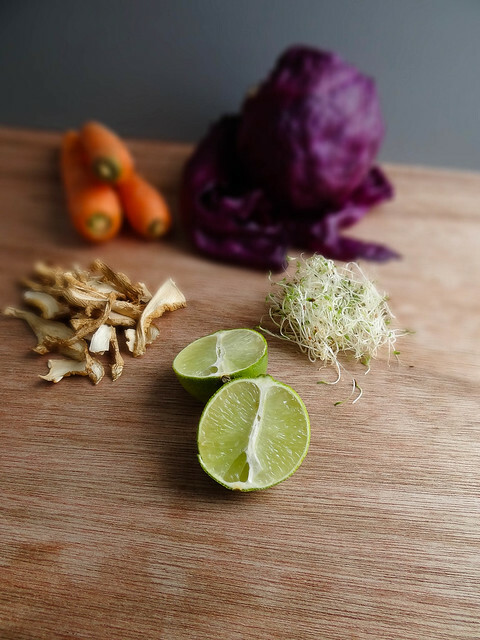 Make sure to have your mushrooms, filling and alfalfa sprouts within arms reach. 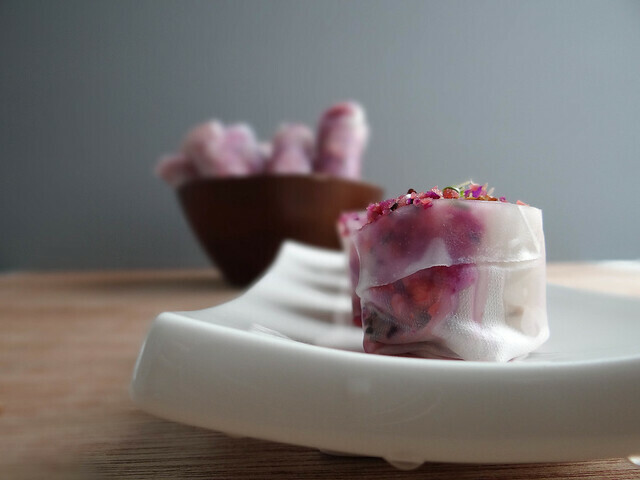 Working with one spring roll wrapper at a time, emerge rice paper round into the warm water until it softens, transfer the round to you work surface. 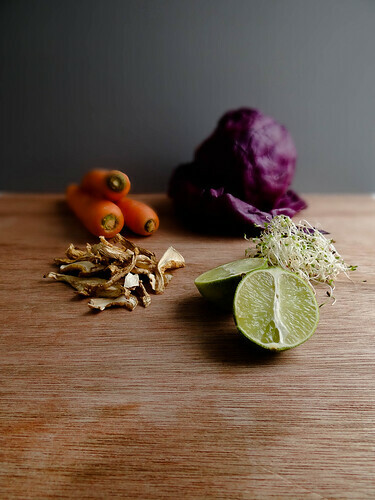 Place 2 tablespoons of the carrot/cabbage mix at the end closest to you, top with alfalfa sprouts (a generous pinch) and 2-3 slices of mushrooms. 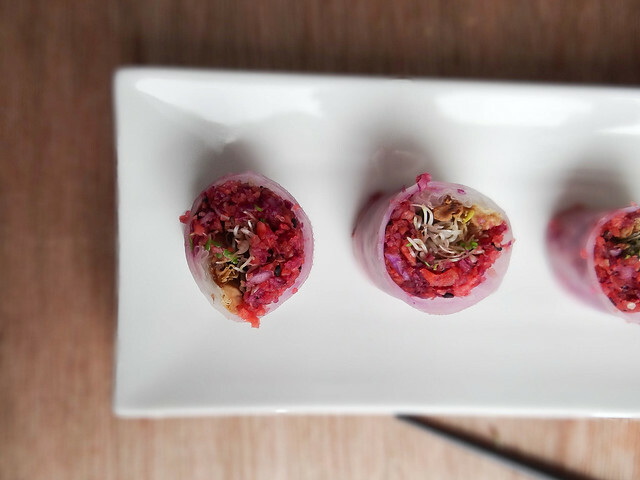 Roll up the Spring Roll - follow this step by step guide on how to roll a spring roll. 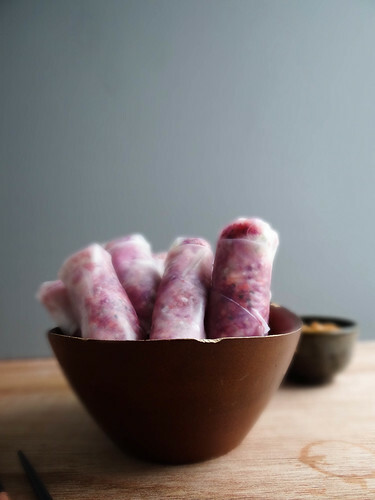 Repeat until you have rolled 12 spring rolls. add all ingredients to a mixing bowl and with a wire whisk mix all ingredients until completely unified. I love Spring Rolls. I have never heard of matsutake mushrooms. Can other dried mushrooms like shitake be a good substitute? I love that color! the spring rolls look amazing Heather! We used to have that kind of family get togethers back home.. when pretty much all cousins lived in the same city. it was fun and loud for sure! 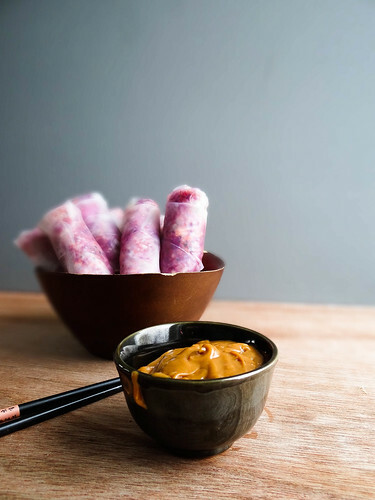 i love love peanut sauce with my spring rolls. Soooooooo gorgeous! Love the colours! Wow! 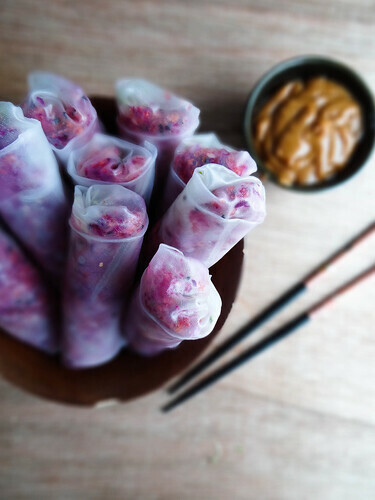 I adore spring rolls. These sound amazing! Love all of the fresh ingredients and flavours. Wow the colours are amazing Heather! 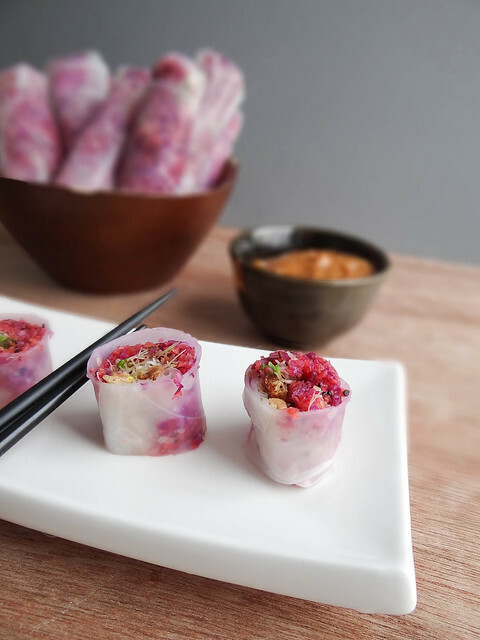 I don't think I've ever seen a prettier spring roll :) I can't wait for spring so my food can be more colourful again. We got another dumping of snow here too, not cool spring, not cool! Wow. These are absolutely stunning. Beautiful photos, too. Yum! they look so delicious, I can't wait to try the peanut sauce also! I was lucky enough to have one of these that evening. All I can say is YUMMY!!!! 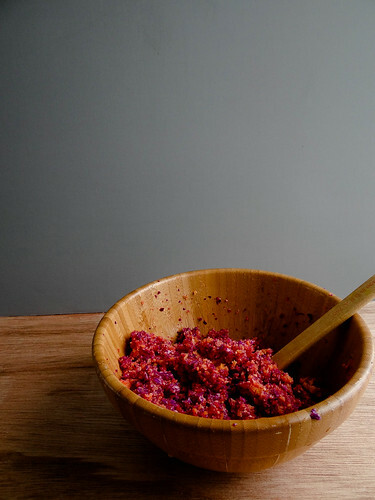 Vibrant, healthy and yum sauce to dip in! A must try this Spring. 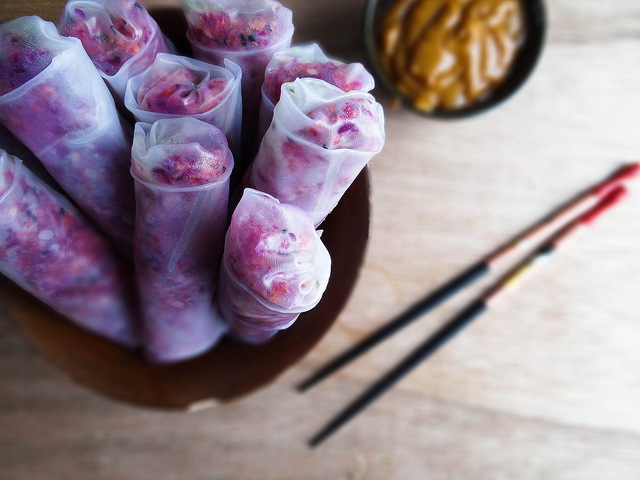 I could eat my weight in peanut sauce by itself, let alone these beautiful spring rolls! I was scared the first time I tried to use the rice paper rolls but they really are easier than they seem. Love the colors in here! Love the colours in this post! I know what you mean about fresh rolls always tasting light and, well, fresh! 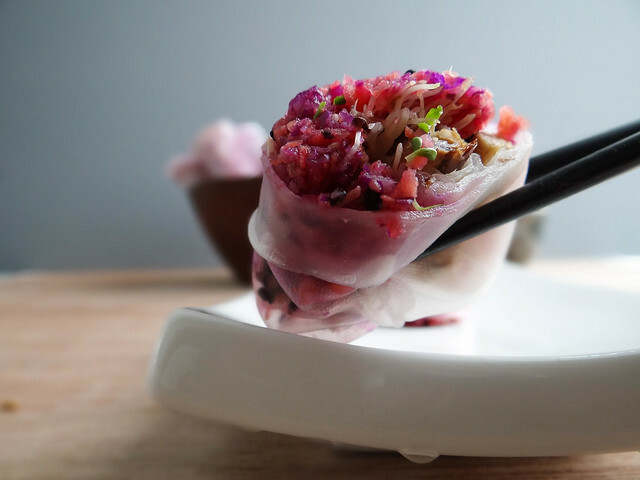 I've never thought of adding alfafa sprouts to a fresh roll, but I can imagine they would be the perfect filling, adding substance and texture. Can't wait to see more of your spring recipes - hope your snow melts soon!